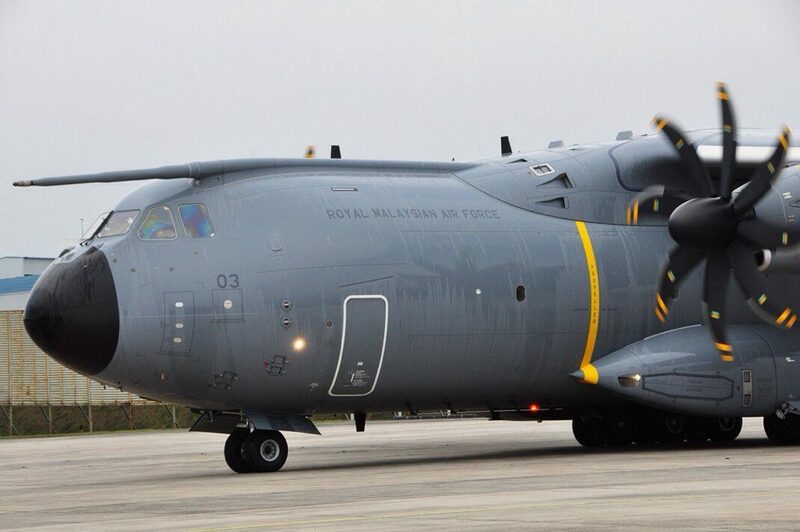 KUALA LUMPUR, -- The Royal Malaysian Air Force (RMAF) will receive its fourth and last Airbus A400M aircraft before the Langkawi International Maritime and Aerospace Exhibition 2017 (LIMA '17) to be held in March, said RMAF Chief General Tan Sri Roslan Saad. "Upon arrival, it will be (equipped) with the latest technology and will be (more advanced than) the three A400Ms we had received. "The other A400Ms (which arrived between last year and June this year) will also be updated in future," he told a press conference after attending a graduation ceremony for Air Force cadets at the Air Force Training Institute here today. 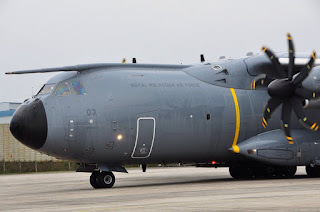 An Airbus A400M M54-03 of the Royal Malaysian Air Force arriving at Subang Airbase.